More than two years ago, Illinois residents Kelly and Casey Sonnenberg filed a loss recovery suit against PokerStars in an attempt to recoup losses suffered while playing at the online poker room. 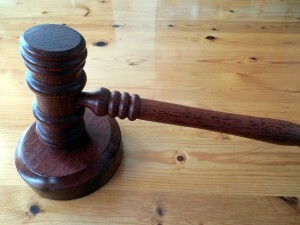 PokerStars filed a motion to dismiss the case, and on Tuesday, the judge sided with the defendant. While the decision was gratefully welcomed by PokerStars, it was not an unexpected outcome. The plaintiffs had already failed in their first attempt at a class action lawsuit against PokerStars, which was dismissed last March by the same judge, the Honorable David Herndon. Similar to the first case, there were a multitude of problems with the Sonnenbergs case. The lawsuit was filed based on the Illinois Loss Recovery Act (720 ILCS 5/28-8). According to Illinois law, gambling is illegal (unless it falls under the guidelines of an authorized activity, which online poker clearly is not). And anyone who loses $50 or more as a participant in an illegal gambling activity is able to file civil action against the “winner” for recovery of those losses. Once the amount of loss is determined by the court, “the court shall enter a judgment of triple the amount so determined”. In short, the Sonnenbergs filed for loss recovery in hopes of receiving 3x the amount they had lost while playing online poker at PokerStars. The plaintiff apparently failed to realize that a number of required factors in a loss recovery case had not been sufficiently met. Namely, losses may only be recovered from the “winner”, and as Judge Herndon pointed out in both dismissed cases, PokerStars was not the winner of the gambling activity in question. Furthermore, the judge said that the loss recovery statute in Illinois is only a viable complaint if the lawsuit is filed within 6 months of the incurred gambling loss. He said the Sonnenbergs case cannot possibly fall within the law’s statute of limitations due to PokerStars being eradicated from the US market by the incidents of Black Friday. “April 15, 2011 was the last conceivable date on which any “losers” could have sustained any gambling losses,” read the judge’s decision. “The original complaint in this case was filed on August 24, 2012”, which happens to be near 15 month after PokerStars was shut down by the US Department of Justice.